The traditional progress bar component of Winforms is pretty useful to show your user the progress of some task, the available space of something etc. However after some years, the user may be bored of looking the same component always. If you are looking for inspiration and innovation, after some research i found out an awesome component that accomplishes the same goal of the progress bar and even better. 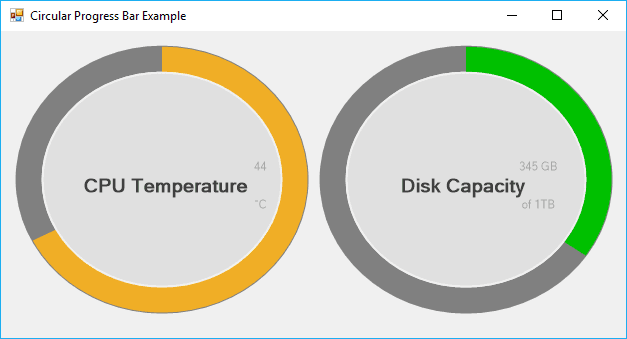 I am talking about the Circular Progress Bar .NET component, a very lightweight component that should be an inplace replacement of the default 'ProgressBar' for WinForm with a cool animation. 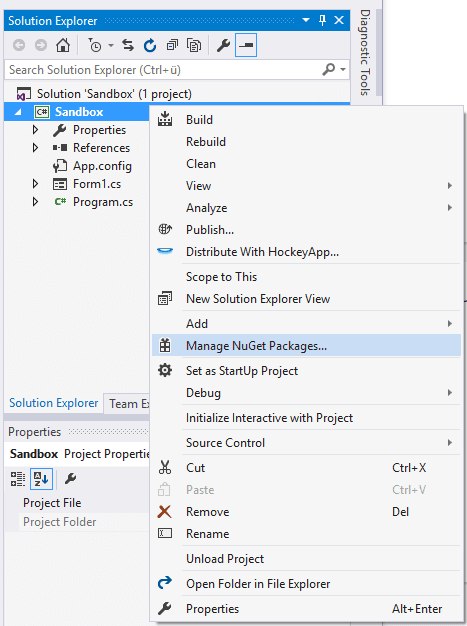 In this article, we'll show you how to install and use this component in your WinForms C# project using Visual Studio. 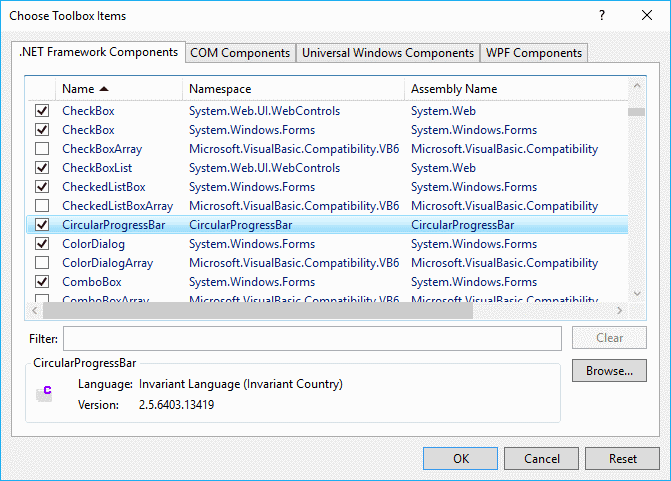 From the list, select the CircularProgressBar package by Soroush Falahati and install it simply clicking on the Install button. Once the installation finishes, you will have now in your project the binary to use this component. For more information about this component, please visit the official repository at Github here. 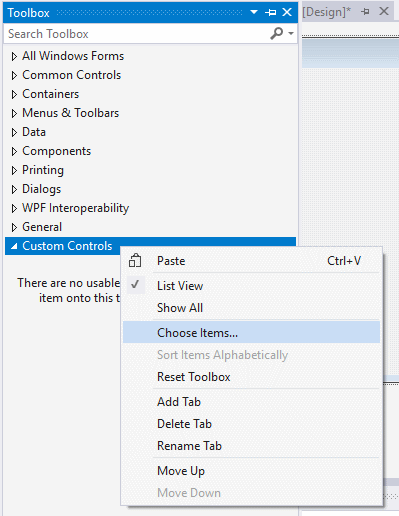 To add it in your form, simply drag and drop it on the form as you do with any normal component. 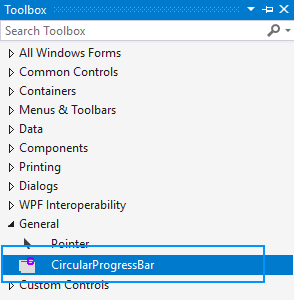 CircularProgressBar.Maximum: Shows and changes the maximum acceptable value for the progress bar. CircularProgressBar.Minimum: Shows and changes the minimum acceptable value for the progress bar. CircularProgressBar.Value: Shows and changes the current value of the progress bar. CircularProgressBar.Style: Shows and changes the style of the progress bar. Only Continues and Marquee is now supported. Blocks behaves as same as Continues. CircularProgressBar.AnimationFunction: Contains the function that controls the animation. 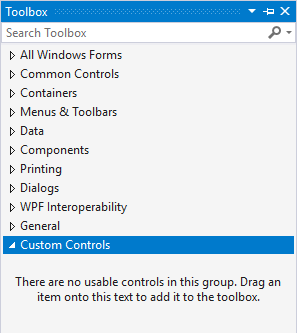 Use WinFormAnimation.Functions namespace for some of the basic implementations. CircularProgressBar.AnimationSpeed: Speed of the animation. Applies to the main progress animation. CircularProgressBar.StartAngle: Start angle of the progress bar. 270 being top of the control. CircularProgressBar.InnerColor: Color of the inner circle. CircularProgressBar.InnerWidth: Width of the inner circle. -1 means full fill. CircularProgressBar.InnerMargin: Margin of the inner circle. CircularProgressBar.ProgressWidth: Width of the main progress bar circle. -1 means full fill. CircularProgressBar.ProgressColor: Color of the main progress bar circle. CircularProgressBar.OuterColor: Color of the outer circle. CircularProgressBar.OuterWidth: Width of the outer circle. -1 means full fill. CircularProgressBar.OuterMargin: Margin of the outer circle.